Magento is a great system - it’s flexible, forgiving, and has a huge support and user base - making it one of the top eCommerce platforms to run your web store on. But, there is a downside. Out of the box, Magento is slooowwwww. It takes a decent amount of server power to run Magento to the point where it’s usable for your website visitors. At EndLayer, we get this question a lot: what’s the best and most efficient way to speed up my store? The answer / secret sauce to speeding up Magento is to utilize cache systems. I’m not talking the default cache you see at the top of your admin panel that bugs you when you change a product - I’m talking full page cache. Full page cache systems work by storing a copy of your web pages (products, categories, CMS pages) as a static file. This means your visitors won’t be loading up Magento’s full stack when they visit your website, they’ll just be seeing a pre-generated version. By not loading up thousands of lines of code, 30 plugins and running database queries that are big and bulky - you save BIG. Real big. We’ve personally seen sites shave 20 seconds per page off of their loading time, big. There’s multiple ways to implement FPC (Full Page Cache), but in our experience the easiest and one of the most efficient is to utilize a Magento plugin. There are several in the market, but we’ve had great experiences with Extendware PageCache. Google it :P. We’re not linking it here because we don’t want you to think we’re out to make money off of plugging them. We truly love and use the EW PageCache module ourselves enough to recommend it to our clients - with no strings attached. It’s easy to install and the results are instant. Most shop owners can even install the plugin themselves. Another way to implement FPC is to use a server-side caching solution, like Varnish, nginx (configured in such a way to cache heavily), or Litespeed’s new MageCache. The systems largely work in the same way, but there are some downfalls. First - the server solution needs to be extremely tightly integrated with your store. That means some added development work, and it means you need to step up to your own server in most cases. It also adds layers of complexity - something that we feel just isn’t worth it nowadays given that Magento-only based solutions have really stepped up. What about Redis, or Memcached? Those systems are spectacular for storing session data and heavy database-type data, but we rarely see those systems make a huge difference to page load speed. Sure, you might save half a second if you’re really deep in - but most web store owners don’t have or want to put that much commitment for such a small gain. Now, we’re not trying to talk you out of it - we have clients that use it and swear by it - but it’s our opinion that you can do better for far less effort. 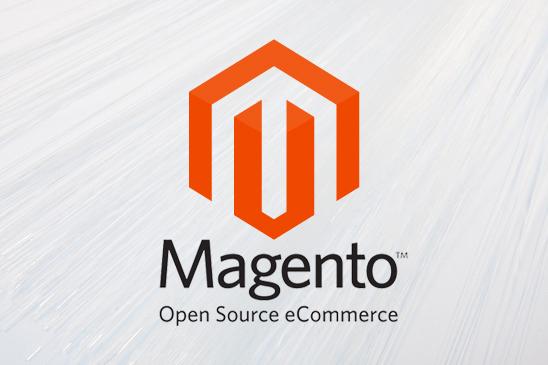 We host hundreds of Magento stores for clients - both small and large. It doesn’t matter if you gross $5,000 or $5,000,000 - you NEED full page cache. The faster your website is, the faster I’ll order your product. It’s just that simple. Trust us, your visitors will thank you. Contact us today to learn more.